An innovative robotic system that can clean building exteriors using water jets or give new coats of paint is now ready to serve customers in Singapore. It is co-developed by local pioneer in automated controls and biometric contactless systems ELID Technology International and Nanyang Technological University, Singapore (NTU Singapore), ranked 4th globally for Engineering & Technology in the recent Quacquarelli Symonds (QS) World University Rankings by Subject 2017. Named OutoBot, this patent-pending automation is locally built and will improve productivity while enhancing workplace safety. It needs only half the manpower to run and can work for longer hours as compared to manual methods. 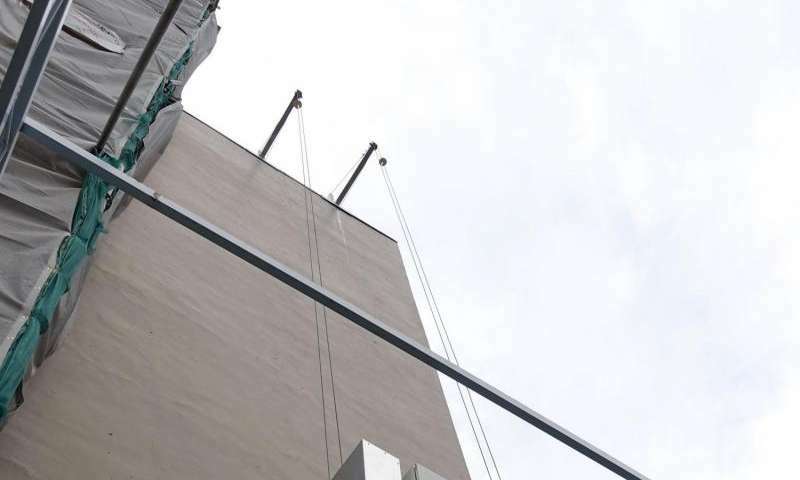 For the washing or painting of a building façade, a team of five is usually required – two on the ground and roof top, with three cleaners or painters on the gondola. Instead, Outobot requires only two workers – one operator on the ground and one as a safety officer. It has a robotic arm equipped with a camera and a spray nozzle that can shoot high-pressure water jets to clean surfaces or to spray paint. No painters or cleaners are required to be on the system's specially built gondola. 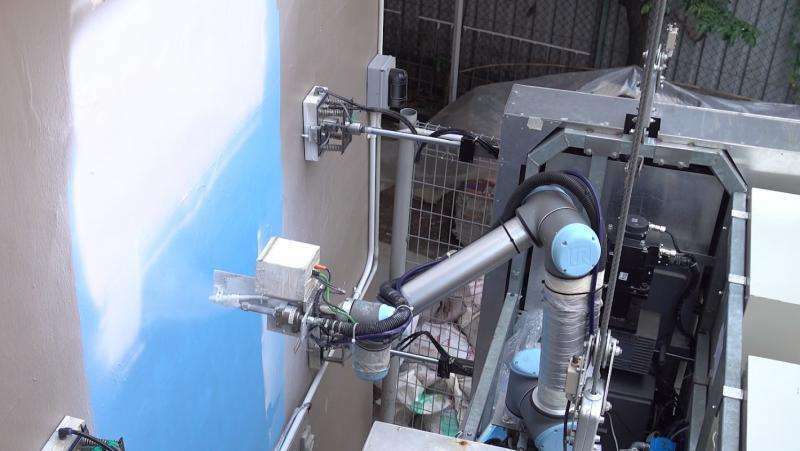 ELID's first innovation in robotic automation was envisaged in response to the Housing & Development Board (HDB) call for proposals to automate the painting of external HDB building façades, so as to enhance worker safety and increase productivity. 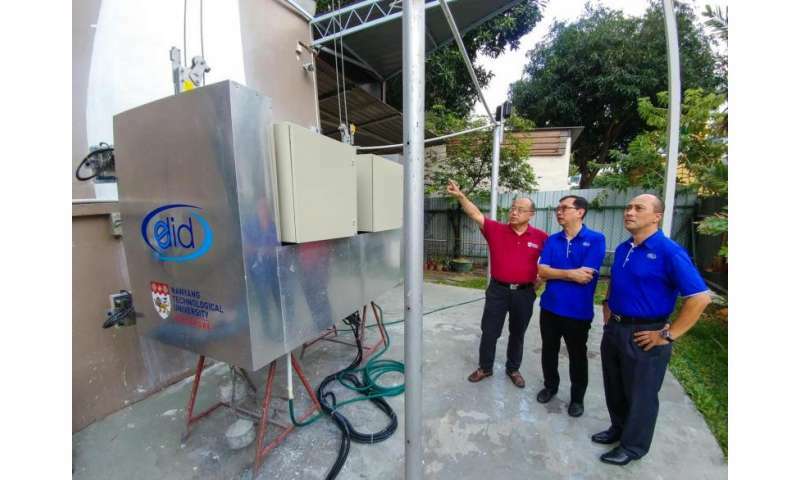 Managing Director of ELID Technology International, Mr Dennis Lim, who first came up with an idea of the robotic system, said it would tackle productivity issues for painting buildings in line with Singapore's Smart Nation vision. "With Singapore's rapidly aging workforce, we need to find ways to enable our employees to continue contributing despite their advanced years," Mr Lim explained. "Using our new robot, we have shown that a labour-intensive job can transformed into one that can be easily done by an older worker, and at the same time eliminating the risk of employees having to work at heights," added Mr Lim. Professor Chen I-Ming, Director of the NTU Robotic Research Centre who jointly led the development of OutoBot, said the project is an example of how the university leverages its engineering expertise to improve productivity, while enhancing worker safety. "Our aim is to make the cleaning and painting of high-rise buildings easier, safer and more cost-effective," explained Prof Chen, who teaches at NTU's School of Mechanical and Aerospace Engineering. "By using spray painting over conventional roller painting, our robot is also more precise and efficient, minimising waste and saving paint." "To tackle Singapore's manpower challenges, NTU has a strong research focus on robotics, which is set to fill an important gap in the productivity and automation needs of the industry. We can now do more with less manpower." OutoBot comprises of a robotic arm with six-degrees of freedom mounted on a specially designed automated gondola and weighs under 500 kilogrammes. Powered by a conventional power outlet, the robot can scan the exterior surface of a building using a camera and automatically plot the areas to spray paint or clean while avoiding the windows. It also gives a more consistent coat of paint as compared to the manual methods. Apart from saving up to 50 per cent manpower requirements, it can speed up both the cleaning and painting process by about 30 per cent since it does not need a break. The automated system also minimises wastage, saving up to 20 per cent of paint. To speed up the process at the same building, multiple systems can be deployed. The made-in-Singapore OutoBot is now patent pending and has been put through its paces at an industrial building located at Ubi, in the eastern part of Singapore. It is now ready and will be deployed for an upcoming project over the next few months. It will also be tested on selected public housing blocks, in consultation with HDB. Through the trials, HDB will work with ELID to refine or customise the robot's design to better suit its building designs and facades. 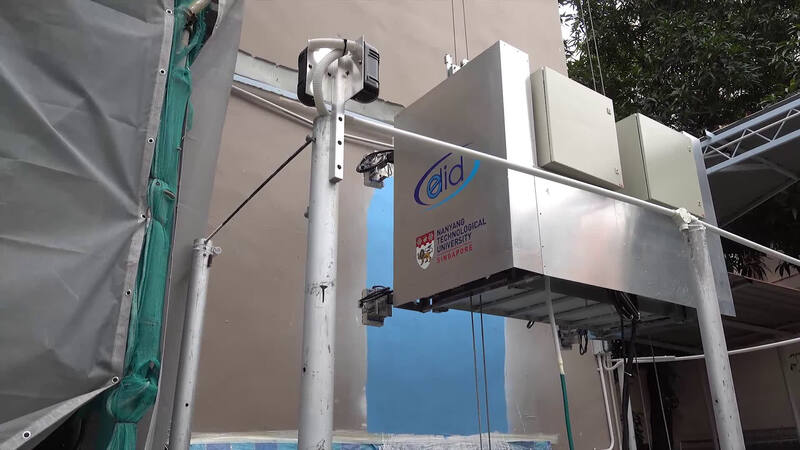 ELID, together with NTU's innovation and enterprise arm NTUitive, are now in talks with other companies as well as government agencies to deploy the robot at other suitable commercial and residential properties.